About Latvia, recommendations for things to do, attractions, cuisine, what to buy and accommodation options are provided. Latvia is a Northern European country and one of the three Baltic States. It is home to less than 2.5 million of people, making it one of the least populated countries in Europe. What is even more surprising, Latvian language is a mother tongue to only 1.2 million people worldwide (compare it to English, which is natively spoken by approximately 360 million - makes a difference, doesn’t it?). However, every Latvian you ever meet will tell you he or she is proud to be Latvian – they have always known, valued and followed their traditions regardless of circumstance. Although Latvia is not known for world-famous landscapes, everyone who visits the country agrees that its nature is amazing. Local people love their motherland and treat the environment with special love and care. Dense forests, transparent lakes, long and winding rivers, sandstone caves and white sand dunes will allow you to relax and leave your worries behind. Visit the ancient valley of the Gauja River in Sigulda or the land of the blue lakes in Latgale and you will definitely feel a pleasant relief and the flow of new positive energy. If spending time in the nature is not your cup of tea, there’s plenty more for you to do in Latvia. Latvia is a modern EU metropolis with vibrant nightlife, high-class restaurants, unique German-style architecture and many sights. In each season of the year the country takes on a different character. In summer Latvians prefer driving to the seaside to enjoy warm and sunny days with cool evenings and nights. In winter they make snowmen, go snowboarding or skiing as heavy snowfalls and extreme temperatures are common. Autumn and spring are relatively mild. Latvia is one of the three Baltic States (the “brother-countries“- Lithuania and Estonia) and lies on the eastern shores of the Baltic Sea. It also borders Russia and Belarus, as well as having a maritime border with Sweden. If you like sacral tourism, you should visit Latgale. Catholic churches and tiny wooden basilicas make this region special. It is a popular tourist destination since it has rich nature and cultural-historical objects of Gauja National Park and the Turaida Castle Museum Reserve. Visit also the Teici Reserve (it is one of the largest marshes in Baltics).
. You can drive to the most famous resort in Baltics, Jurmala, explore the wide beaches of Liepaja and Ventspils, visit Kolka where the sea and the gulf meet or enjoy the view of high coast in Jurkalne. This is a popular activity in Latvia, especially among nature lovers. If you come in spring or autumn, do not miss an opportunity to observe unique species of migrating birds. Pape on the Kurzeme coast is the best place to do it. What to bring home from Latvia? Something made from amber (a bracelet, a coulomb, a small painting), knitwear, the Black Balsam (the Latvian national bitter drink), milk toffee candies called “Gotina”, zephyr – made from natural apple puree. Latvians like ground pork meatballs and pork chops, as well as grey peas with onions & bacon (grey peas are similar to beans and they are added to many dishes). Rupjmaize (dark bread made from rye) is frequently served with meals. Latvians also love meat pies (they are like small pastries staffed with minced meat), beet soup, rasols (a salad which no festivity can do without). They serve traditional Latvian cheese (Janu siers) during the celebration of Jani in midsummer. Birch juice and skabputra are local non-alcoholic beverages. On the alcoholic side, there are maizes kvass which is made from rye bread crusts and the Black Balsam. Beer is also quite popular. Latvia is a member of the Schengen border-free zone. It allows the citizens of other Schengen countries to travel to and from Latvia without carrying a passport (and understandably, a visa). To find out about visa requirements for other countries, please, visit the official website of Ministry of Foreign Affairs of the Repubic of Latvia. Latvia’s local currency is Lats. 1EUR equals 0.70Lats. Currency exchange offices are scattered all over Latvia (in hotels, airports, shops, banks, post offices, train stations). Latvians are quite reserved. Hand-shaking is the best way to greet. In Latvia it is impolite not to leave at least 5-10% by rounding up the bill in cafes and restaurants. The crime rate is not high. Nevertheless, there have been cases of violence, robberies and harassment of foreigners. It is best to remain alert, especially in crowded places. If you are in trouble, do not hesitate to call Riga Tourist Police Unit at any time (they will answer in English). Firstly, it is important to know that drinking alcohol on the street is prohibited by Latvian law. Another thing is that you should be cautious while paying for drinks in clubs – there have been cases when they set incredibly high prices for foreigners. 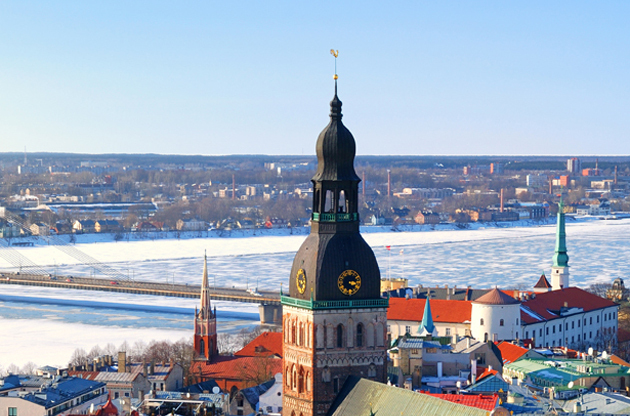 Latvia, a small yet beautiful city of Europe, offers surprisingly enormous opportunities for business events. High end venues, luxury hotels, beautiful nature, favorable climate and its easily accessible location can be listed among the reasons that make Latvia that unrivaled as a host city. Many reputable events like conferences, congresses, trade shows, fairs, exhibitions and symposiums take place in Latvia and each of them turns out to be perfect organizations.